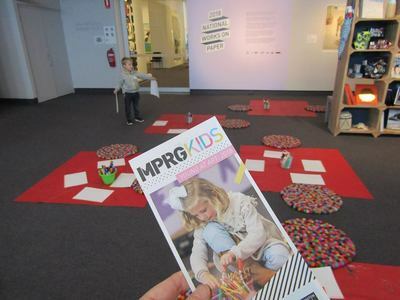 The Mornington Peninsula Regional Gallery (MPRG) invites pre-schoolers into the art space once a month during term time. The gallery's Young at Art program runs throughout the year, one Tuesday morning per month. 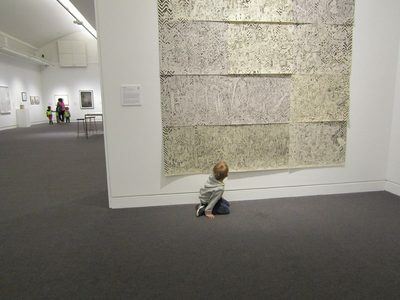 Sessions are designed for 2-5 year olds, beginning with a tour of the current art works on display in the MPRG, followed by themed fun art and craft activities with the gallery’s education coordinator in the foyer. Each session lasts for an hour from 10am to 11am & 11:30 to 12:30pm with different themes each week. Following the art and craft activities, the gallery's education coordinator reads a story to the children, which concludes the session. Sessions are a reasonable $5 (carers free), without any need to pay per term. Pre-booking for Young at Art at the MPRG is highly recommended. Contact the Gallery on 5975 4395 or email mprg (at) mornpen.vic.gov.au. Check here for the current schedule.